I thought these maps from The New York Times, indicating political leaning for the 2010 elections, to be interesting. Each map, one for House elections and one for the Senate elections, paint an interesting picture that is contrary to the conservative narrative propagated on such propaganda sites like Townhall and Big Government. Looking at the numbers, the Democrats are in that bad of shape. 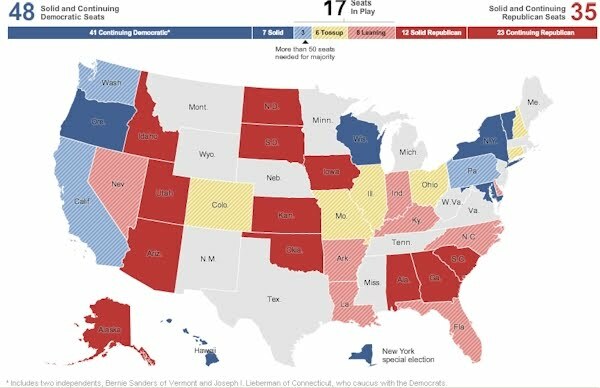 They look to retain more seats then Republicans and will most likely keep a majority. 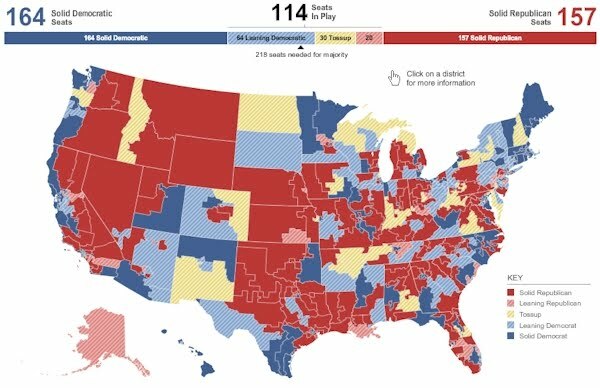 In the House, again, it appears Democrats will most likely maintain their majority.